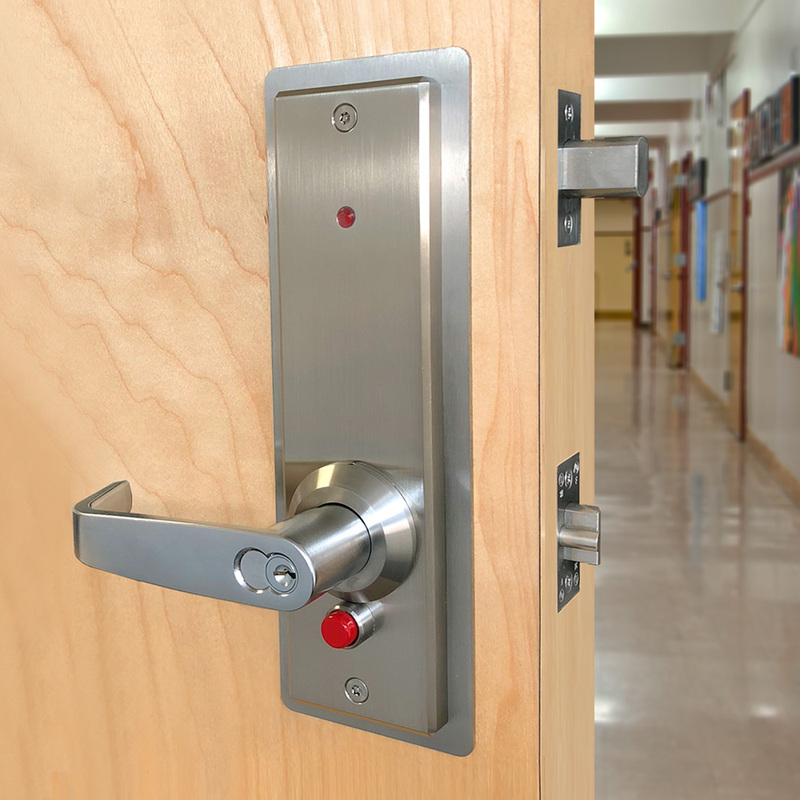 Secure students at the press of a button. 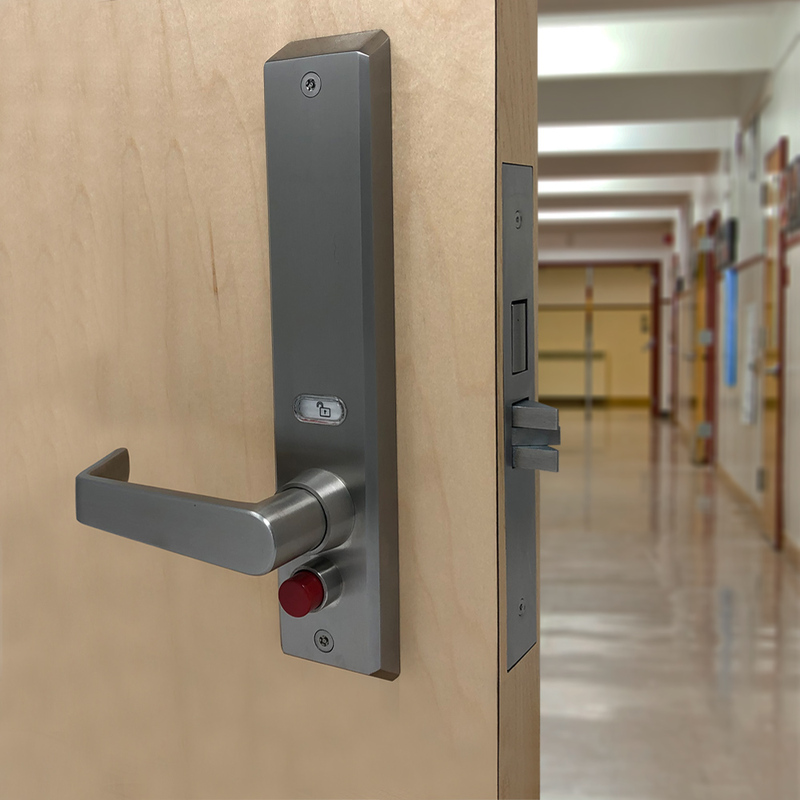 Quick Intruder Deadbolt lock has a new look for 2019 featuring an enhanced visual indicator and sleek, modern sloped trim. 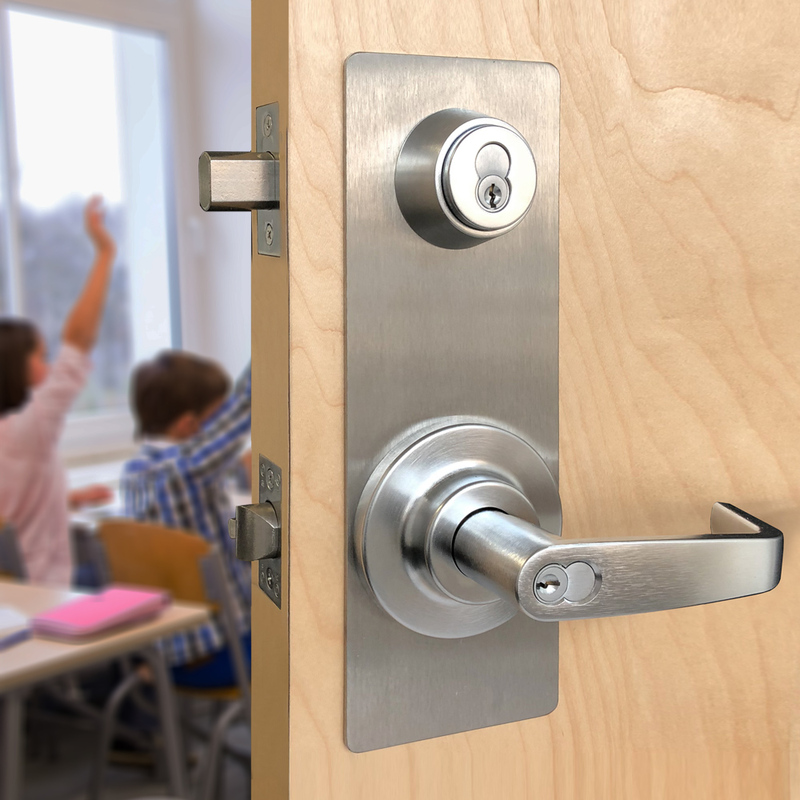 Designed for classroom doors locked by key from the exterior, QID meets Department of Homeland Security’s #1 Recommendation to quickly lockdown classroom doors from inside without the use of a key. 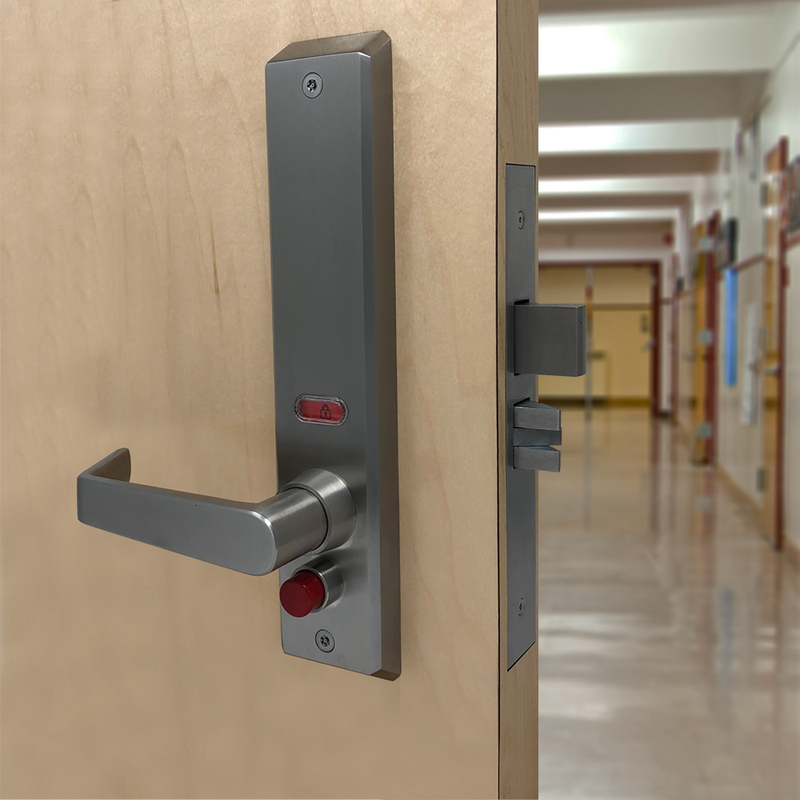 Functioning as an everyday classroom lock, QID emergency lockdown lock features a red button that projects a 1″ stainless steel deadbolt, going above and beyond the standard latch used to secure classrooms. Providing single-motion egress and key access, QID affords occupants time to focus on sheltering in place or evacuating. Saving Lives One Lock At A Time.